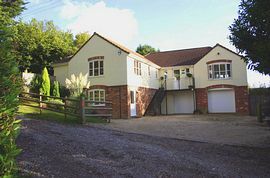 Kinly Lodge is a semi-detached section of the main house set over two floors situated in a very peaceful location offering a high degree of privacy. 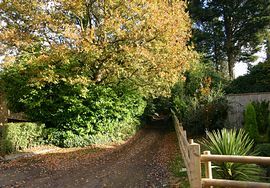 The property is set in a tree-lined unmade lane which has been designated an area of special interest and is also one of Dorset's public footpaths which is very popular with ramblers and horse riders alike. Although set within a country environment, it is only 10 minutes flat walk to Wimborne Minster town centre, a walk that will take you along the river Allen attracting bird watchers spotting the array of beautiful species. The major attraction to this popular town is the historic Minster whose majestic bells can be heard from the Lodge. An array of good quality shops and an abundance of restaurants and tea rooms can also be found around the town. Car and Driver for transport to/from airport etc, also daily hire for excursions. 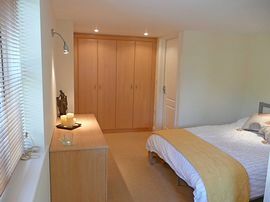 Walking Distance of Wimborne Minster. Country location, however close to town. Sheets, quilt covers, pillow cases. Smoking allowed on decked area. 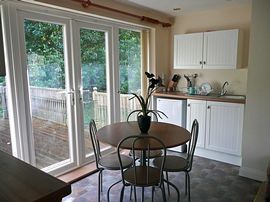 Local Services: Short Walk to Wimborne Minster, Public House, Coffee Bars, Tea Rooms, bus route. Low season: from £270.00 per week. 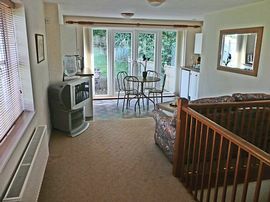 High Season: from £490.00 per week.